SoftMaker FreeOffice is a powerful, easy-to-use, modern, lightning-fast office suite for Windows. 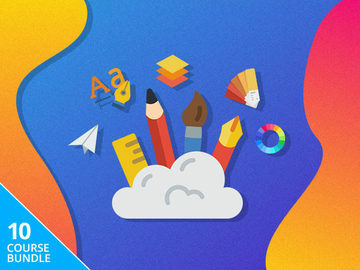 After using it, you will agree that it is the best free alternative to Microsoft Office. 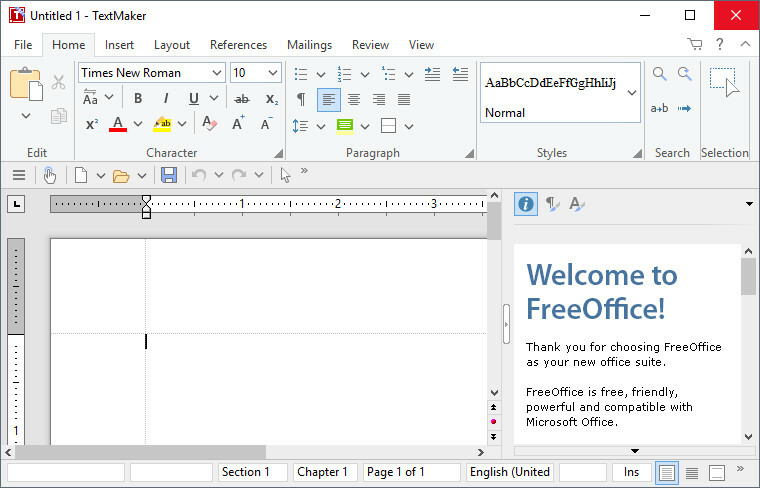 FreeOffice is a complete office suite with a word processor, a spreadsheet application and a presentation program – all compatible with their counterparts in Microsoft Office. What's the catch? There is none. 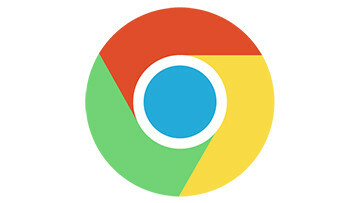 Simply download it for free and use it for as long as you want. Millions of people are using it every day and enjoy this great free office suite. 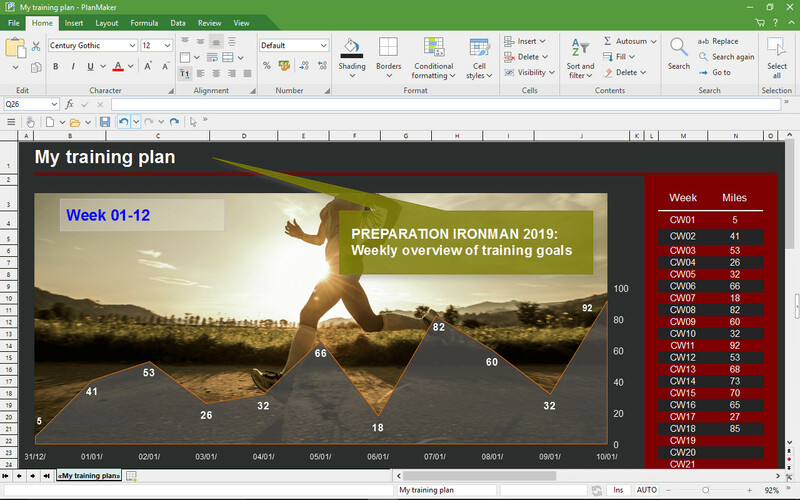 FreeOffice 2018 is free to use at home and for business. TextMaker - The powerful word processor FreeOffice TextMaker combines ease of use with a huge range of features that let you create beautiful documents with ease. Numerous new template catalogs and drop-down elements take the work out of formatting text, tables and pictures. PlanMaker - FreeOffice PlanMaker lets you create calculations, worksheets and charts of any complexity effortlessly. With more than 350 functions at your disposal, you can quickly solve even the most intricate calculations and make sound decisions based on solid results. Presentations - FreeOffice Presentations is a powerful tool for creating impressive presentations. Combine text, images, tables and artwork in your slides and put them in motion with a vast range of breathtaking animations and slide transitions using OpenGL graphics acceleration. Compatibility without compromises: Now for the first time, the FreeOffice version for 2018 features complete support of the Microsoft file formats DOCX, XLSX and PPTX. 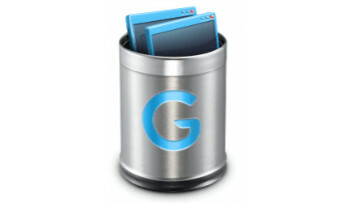 Files with these extensions can now be not only opened, but also saved. Exchanging files with Microsoft Office users is therefore possible without prior conversion. 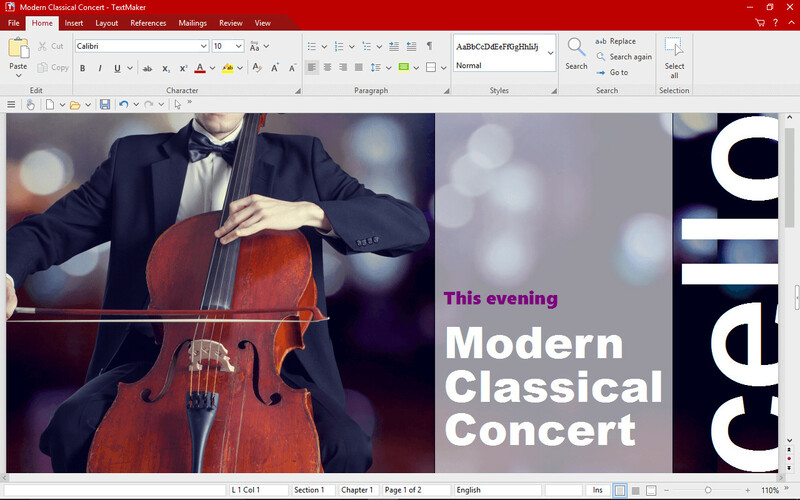 Ribbons or classic menus: SoftMaker FreeOffice 2018 also offers a refined user experience: the completely redesigned user interface allows users to work with either modern ribbons or classic menus and toolbars. An especially practical feature is that even in ribbon mode, users can access the classic menu entries via a “hamburger” menu. 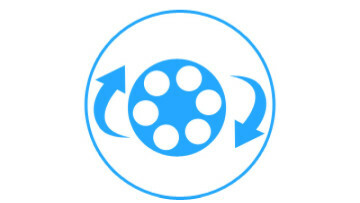 This makes it easier for users to migrate to ribbons. 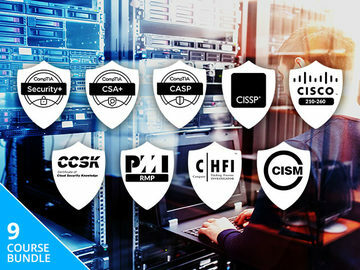 Both with classic toolbars and in ribbon mode, users have access to numerous new dropdown elements and template catalogues that simplify the creation of extensive documents. For example, with a few clicks, complex numbered lists and headers or footers can be added in TextMaker, and a large variety of cell templates can be applied in PlanMaker. Optimized for touchscreens: If you use a computer with a touchscreen, you can now switch to touch mode with larger icons and increased spacing between user-interface elements. 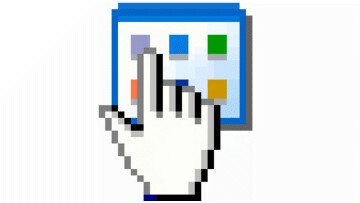 This new touch mode is available both with ribbons and with the classic menu-based user interface. The word processor FreeOffice TextMaker 2018 lets users create documents of any complexity. Extensive DTP capabilities allow you to insert images and graphics, headers, footers, tables and more. Aside from seamless DOCX support, the application offers true-to-original handling of numerous other file formats. It opens documents saved in the old Microsoft format DOC just as loss-free as ODT files which are used by LibreOffice and OpenOffice. The word processor comes with a powerful PDF export as well as with an EPUB export function, which creates complete e-books with just a few clicks. 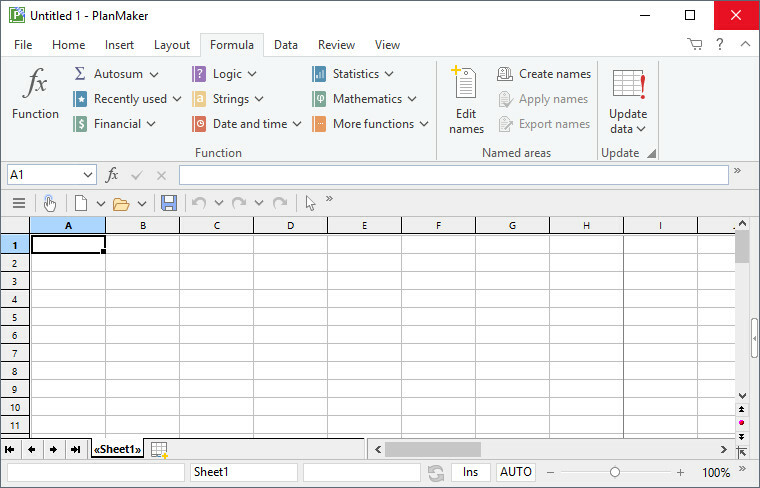 The spreadsheet application FreeOffice PlanMaker 2018 covers all the functionality needed to create calculations, tables, and charts. Even power user features, such as pivot tables or conditional formatting, are always compatible with Microsoft Excel 2016, thanks to the seamless support of Excel’s XLSX file format. 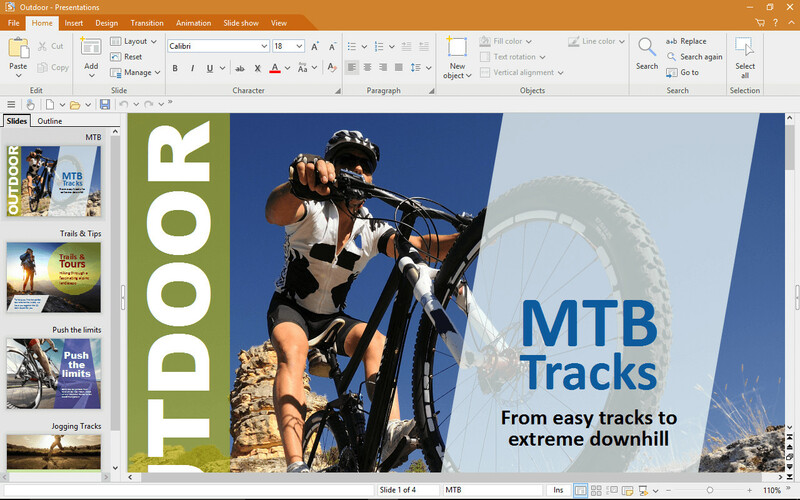 The presentation application FreeOffice Presentations 2018 is now even more compatible with PowerPoint than its predecessor. It not only supports the opening and saving of the PPTX files, but it also comes with a completely revised master slide concept. 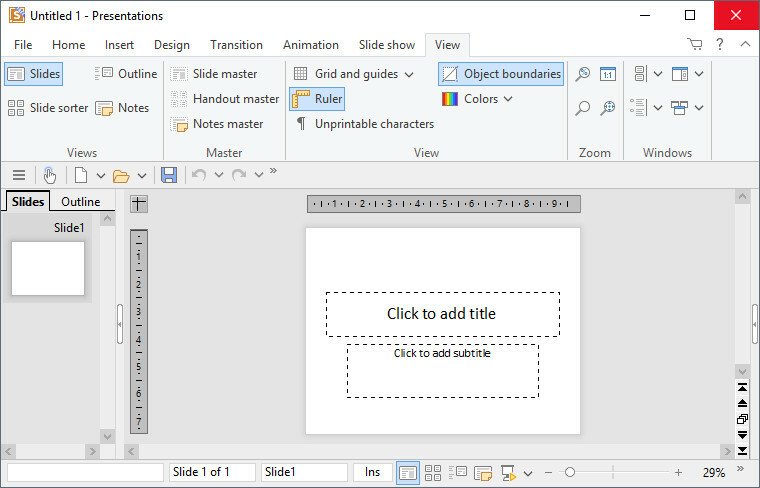 Users can now create any number of slide layouts, which in turn can be populated with any number of placeholders—just like Microsoft’s forpurchase counterpart. Using animations and slide transitions based on OpenGL, the new FreeOffice Presentations also provides the user with a variety of spectacular effects that turn presentations into real eye-catchers.